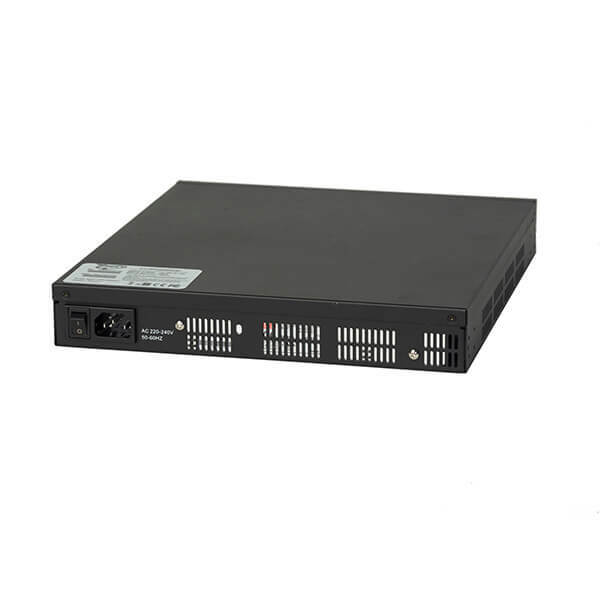 The KY-8PSE30WM, – is a managed redundant ring POE Ethernet switch with 8 x10/100/1000Base-T(X) and 4 x100/1000Base X SFP Sockets. Enhanced silicon extensions combined with Clean Code Technology Introduction provide for a secure, virus and Bot resistant switch able to automatically contain and quench possible Denial of Service or Distributed Denial of Service (DOS / DDOS) attacks, without network operator intervention. This is 21st Century Security for networks that secure every device – not just the perimeter devices. IP / MAC address auto identification and network lock down, is another feature used to lock down attached devices to the network – automatically. Meets new federal guidelines for Cyber-space port security and network security. Clean Code Technology insures no contaminated or unused code elements. 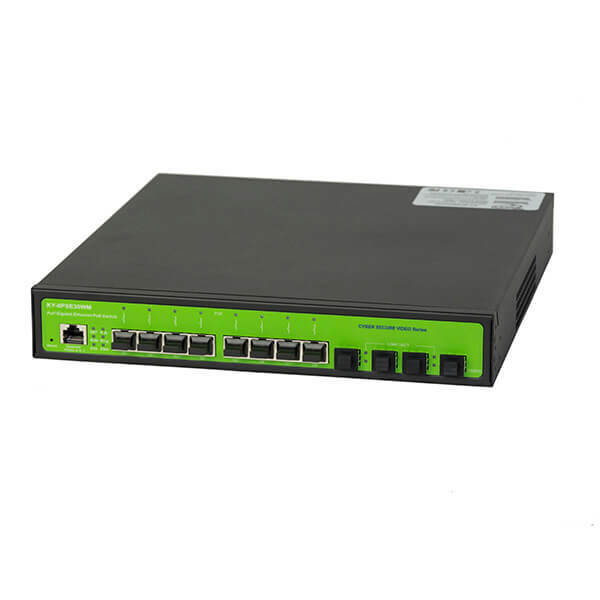 The switch provides Power over Ethernet Technology (802.3at), and the ability to provide up to 30 Watts on all copper ports – all the time. Our product also complies with 802.3az (Green Scheduling). The 802.3az specification allows the scheduling of powered devices (PD’s) on & off – saving energy and money. A smaller carbon footprint – saving customers money over the life of the product, combined with automatic device restart, automated keep alive checking – (important for cameras) makes for a secure and reliable network. Every DYMEC Ethernet switch is camera ready, HD camera certified and tested. ONVIF network tested and certified. All switches are temperature hardened to -40C to 80C. Every switch is designed to outperform all competitive products, are fanless (convection cooled) and comes with a full 5 Year Warranty.